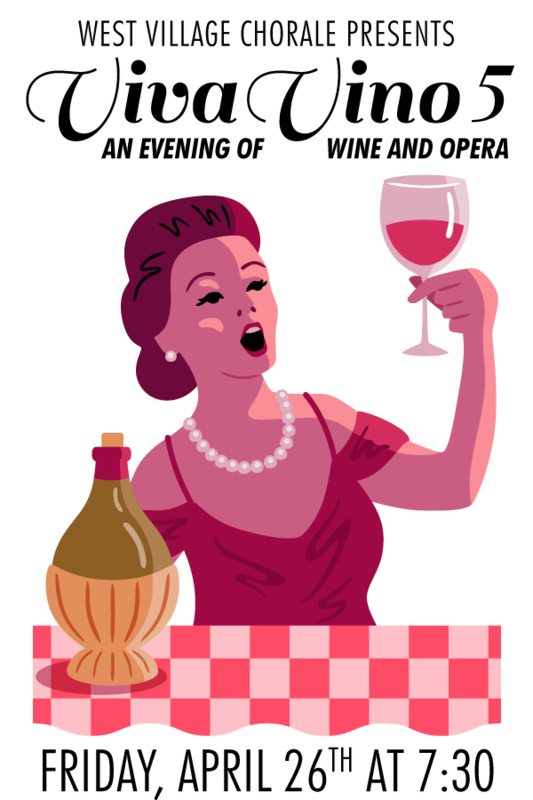 Join the West Village Chorale for a fun and festive evening of wine, cheese and opera! Our guide for the evening is our own Tenor-sommelier James Dantas who will be selecting and presenting a variety of wines from Brooklyn’s Smith and Vine and Stinky Bklyn, to be paired with the evening’s musical selections. We’re thrilled to welcome a wonderful flight of artists who are donating their time and talents to perform in support of the Chorale. And of course, we’ll join in the singing as well, as we lead the audience in a chorus or two! Space is limited at this event so don’t wait to get your tickets! Bass-baritone Justin Beck was born in San Diego, CA and raised in Texas where he began his singing career in his church children’s choir and his professional career at the age of nine in Menotti’s Amahl and the Night Visitors. He studied music with a focus on vocal performance at the University of Texas at Austin, and Texas State University. He was a Young Artist at Austin Lyric Opera for two seasons singing roles in Gounod’s Faust, Puccini’s La fanciulla del West, and Verdi’s Rigoletto. He also spent two summers at the Aspen Music Festival in their opera theater center. Additional opera credits include three seasons with Opera Company of Middlebury in Vermont performing in Massenet’s Thaïs, Puccini’s La Rondine, and Bizet’s The Pearl Fishers. Other favorite roles include Leporello in Mozart’s Don Giovanni, Dr. Falke and Frank in J. Strauss Jr.’s Die Fledermaus, both with Opera Manhattan. Concert highlights include Handel’s Messiah with the Austin Symphony, Berlioz’s Requiem with the Carnegie Hall Festival Chorus under the baton of Robert Spano, Beethoven’s Ninth Symphony and Orff’s Carmina Burana with the National Chorale in Avery Fisher Hall, Stravinsky’s Oedipus Rex with the Bard Music Festival, and R. Strauss’s Feuersnot with the American Symphony Orchestra and Music Director Leon Botstein at Carnegie Hall. 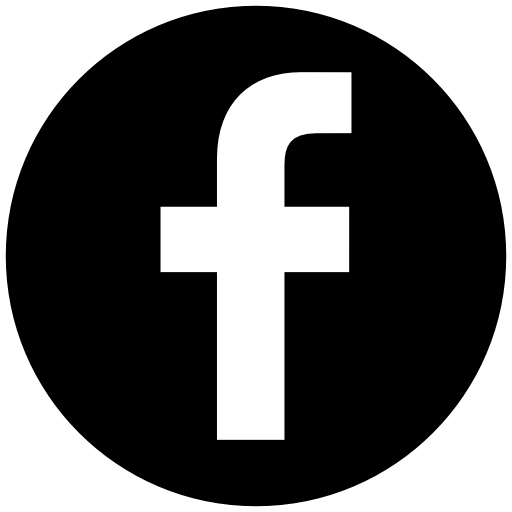 Additional recent engagements include concerts with Long Island Masterworks and Gregg Smith Singers. Currently, Mr. Beck is a choral scholar at St. Mark’s Church in Mt. Kisco, as well as the West Village Chorale and Hudson Chorale, where he most recently sang Haydn’s Mass in D Minor. He is both honored and pleased to be returning for his second summer with the Ocean Grove Auditorium Choir as their bass soloist and section leader. American Tenor John Bellemer has gained a reputation for his strong portrayals in a very wide repertoire. Possessed of a voice the New York Times calls “clarion-toned,” he continues to appear in leading roles with orchestras and opera houses across North America and Europe. Recent highlights include debuts with Teatro Regio di Torino, Teatro La Fenice (Venice), Florence’s Maggio Musicale, Torino Jazz Festival, Napoli San Carlo, Chamber Music Society of Lincoln Center, Michigan Opera Theater (Detroit), New York City Opera, Florida Grand Opera, North Carolina Opera, Bangor Symphony, Winnipeg Symphony, Salt Bay Chamber Festival, Toledo Symphony, and performances in Beijing; and return engagements with Ireland’s Wexford Festival, England’s Buxton Festival, Boston Lyric Opera, Hawaii Opera Theater, Austin Opera, and The Pacific Symphony. John is featured in Stephen Spielberg’s Academy Award-winning film Lincoln as Gounod’s Faust. He lives in Brooklyn, New York with his wife, Sarah Blaze, and their Parson Russell Terrier, Bandit. Mezzo-soprano Grace Canfield received her Bachelor of Music degree from the Juilliard School where she appeared in Haydn’s La fedeltà premiata and Ravel’s L’enfant et les sortilèges. In 2018 she debuted with Miami Music Festival as Monica in The Medium, and with Sinfonietta Bel Canto as Giorgetta in Il Tabarro. Ms. Canfield was featured at Lincoln Center Jazz in Wayne Shorter; the Early Years and has sung in Urbania, Italy, appearing as Giannetta in L’elisir d’amore. She studied at the Chautauqua Voice School from 2012-2015 and made a cameo appearance in Castleton Opera’s Seven Deadly Sins under the baton of the late Lorin Maazel. Ms. Canfield was awarded first place in Chicago NATS 2019 and was a finalist in the international competition American Vocal Arts. 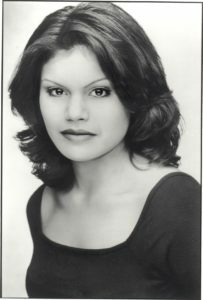 Soprano Melissa Cintron-Gabriel has gained praise for her musical sensitivity, vocal virtuosity and engaging stage presence. Opera News stated “Ms. Cintron’s soprano voice displayed nice upper extension” in her role as Najade in Strauss’ Ariadne auf Naxos at Merkin Hall. Following that performance, Ms. Cintron-Gabriel was invited to perform as soprano soloist in a televised performance of the presentation of the Congressional Gold Medal in honor of the Tuskegee Airmen. She performed at the U.S Capitol Rotunda, which was aired on CNN and C-Span. She followed that performance by presenting a concert at the Great Hall of the Library of Congress. Ms. Cintron-Gabriel sang as soloist in Mahler’s Fourth Symphony with the Prague Sinfonietta at The Rudolfinum Hall has also sung as soloist at Alice Tully Hall, Avery Fisher Hall, The Riverside Church, Saint John the Divine, The Choral Springs Center for the Arts, The Brooklyn Center for the Arts, Lehman College, The Bronx Opera Company, The Intermezzo Young Artist Program, Centro Studi Italiani, One World Symphony and Opera Noire of New York. She has performed works as soloist in Beethoven’s Choral Fantasy, The Second Coming of Christ at Riverside Church, Mendelssohn’s Elijah, Dubois’ Seven Last Words and Schubert’s Mass in A flat. Further operatic roles include Despina in Così fan Tutte, Pamina in Die Zauberflöte, and The Mother in Amahl and the Night Visitors. She has performed excepts from Lakme, La Sonnambula, Le Nozze di Figaro, Don Giovanni, The Merry Widow, Candide, Carmen and The Tales of Hoffman. As a recitalist, she has performed innovative programs including “Eternal Light,” “Beaute, Foi, Amour,” “L’invitation Au Voyage,” and “Beau Soir,” accompanied by Ms. Elena Belli. Ms. Cintron-Gabriel currently serves as Music Director at Saints John and Paul School in Larchmont, New York. She holds degrees from The Manhattan School of Music where she received her Bachelor and Master of Music degrees. 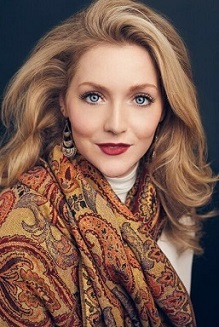 Feeling comfortable on both the operatic and musical theater stages, Chelsea Friedlander, soprano, holds a Masters of Music from Manhattan School of Music and Bachelor of Music from Cleveland Institute of Music. 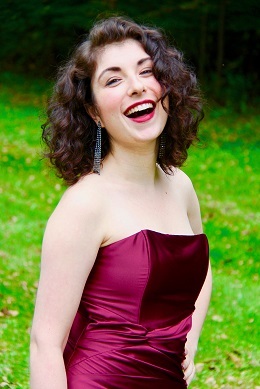 In the 2018-2019 season Ms. Friedlander will debut with Opera on the James in Virginia as a Tyler Young Artist. In January, Ms. Friedlander will join Nashville Opera’s Mary Ragland Young Artist Program and debut Olympia in Tales of Hoffmann. In March of 2018, Ms. Friedlander returned to Light Opera of New Jersey singing Marie, the title role in The Daughter of the Regiment. In July, under the baton of Kristof Van Grysperre, Ms. Friedlander debuted the role of Cunegonde in Candide in Los Angeles, California with Angels Vocal Art as an Emerging Professional Artist. In the fall of 2017 Ms. Friedlander returned to Dayton Philharmonic as Soprano soloist in Masterworks Series: Mendelssohn & The Reformation and debuted with Pacific Opera Project, California as Monica in Menotti’s The Medium. 2016-2017 included: Debut with Dayton Opera as Blonde in Die Entführung aus dem Serail (February 2017) and Frasquita in Carmen (May 2017). Debut with Chautauqua Opera Company as Apprentice Artist singing Euridice in L’Orfeo (Montverdi/Respighi) and Soprano 1 in Phillip Glass’ Hydrogen Jukebox. Recent Performances: Mabel in Pirates of Penzance (Ohio Light Opera Company) Luisa in The Fantasticks (Women’s Theater of NJ), Nannetta in Falstaff (Martina Arroyo Prelude) Adele in Die Fledermaus (Opera in the Ozarks) and Lucy in Menotti’s The Telephone (Light Opera of New Jersey). Recent Concert Work: Handel’s Messiah (Dayton Philharmonic), Opera Highlights Concert (Steven Osgood, conductor and Chautauqua Symphony Orchestra), Musical Theater POPS (Stuart Chafetz, conductor and Chautauqua Symphony Orchestra) American Song Book Concert (Light Opera of NY), Bernstein/Sondheim Concert & Carousel: In Concert (Coro Lirico). Recently sang along side Kristin Chenoweth with Concert Pops of Long Island. Consecutive Encouragement Award Winner at Metropolitan Opera National Council Auditions (Connecticut District). Company member of New York Gilbert & Sullivan Players Company & Victor Herbert Renaissance Project Live! Chelsea is a proud member of Actors Equity Association and AGMA, and appears courtesy of Athlone Artists. Spencer Viator is a rising young tenor in the opera world. 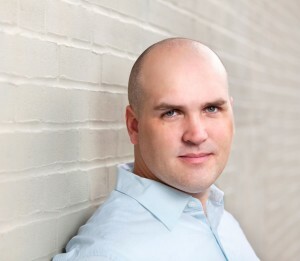 He was recently hailed for his “ringing and elegant tenor” by the New York Times for his return to Loft Opera as Ferrando in their production of Così fan Tutte. 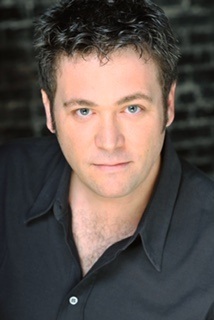 He was also lauded for his voice’s “wonderfully expressive emotions”(Broadway World) in his debut of Nadir in Les pêcheurs de perles with Winter Opera of St. Louis. This 2017/18 season has been marked by a plethora of role debuts for Spencer Viator. First, in a Co-production with both the Atlanta Opera and On-Site Opera, he sang the role of Count Belfiore in Mozart’s The Secret Gardener. role of Junior Mister in Blitzstein’s The Cradle Will Rock. Soon after, he joined The Berkshire Opera Festival for their 2nd Season to portray the roles of both the Tanzmeister and Brighella in their production of Ariadne auf Naxos where he was described as having a voice that “shone like burnished brass” (Berkshire Record). The summer season has him returning to Des Moines Metro Opera to cover the role of Martin in The Tenderland. Afterwards he will be making his role debut of Tonio in La Fille du Régiment with Opera in the Heights in Houston. in Don Pasquale and Frederick in The Pirates of Penzance. He also learned and performed the role of Fernando in Granados’ Goyescas with 24 hours notice, filling in for a sick colleague. In 2015 he helped premiere the role of Soldier Hymie in Ricky Ian Gordon’s new opera Morning Star with Cincinnati Opera. 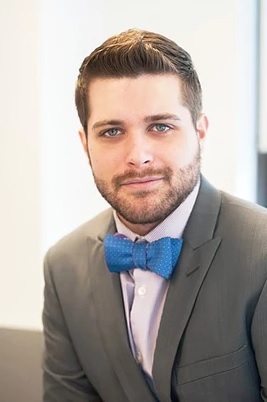 He has been in many prestigious young artist programs including Des Moines Metro Opera’s Young Artist Program where he covered Fenton in Falstaff. He was also a two time Gerdine Young Artist at Opera Theatre of Saint Louis as well as a Young Artist with Opera Saratoga.